Ahmet's Turkish Restaurant is open for lunch and dinner, 7 days a week. Ahmet's Turkish Restaurant is Brisbane's premier Turkish dining experience. A family owned and operated business situated in the heart of South Bank's restaurant precinct, Ahmet's has been serving up Turkish favourites since 2002, making it the most established restaurant in the area. The family had a dream: to bring the vibrant, colourful culture and traditional flavours that their homeland Turkey is famous for to Brisbane. Wanting to represent the family's Turkish roots as well as their Australian home, Ahmet's uses authentic Turkish recipes that have been passed down for generations, with fresh Aussie ingredients that are locally sourced and grown. Ahmet's strives to transport its customers to Turkey, away from the bustle of Brisbane. 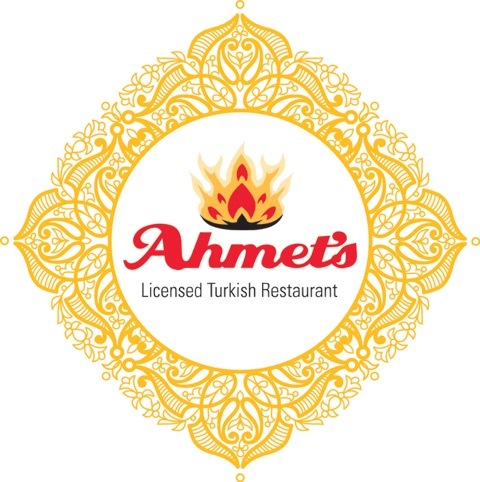 Fifteen years after serving their first meal, Ahmet's has become iconic within Brisbane's dining scene - famous for its delicious share plates, feasting-style banquets, and the authentic Turkish atmosphere our customers have come to know and love. Ahmet's has live music and belly dancing shows every weekend, and can cater to groups of all sizes, up to 300 people. Please contact the restaurant directly for groups over 20 people, so our functions team can create the best experience for you. Join us for a pre-theatre nibble and cocktails, a business dinner function with a difference, a fun night out with friends and family, or anything in between! We had a very happy experience. Food was great, love the decor and beautiful lights. Awesome venue and awesome food, would recommend! I love Ahmets. This visit though we only popped in for dessert to celebrate a birthday. The two deserts we were wanting weren't available very dissapointing. We still enjoyed our time but not acceptable that at 830 on a Saturday evening two deserts were unavailable. First time here food and service was amazing staff are so friendly our waitress helped us pick a selection of share plates that were perfect for three of us. And the jug of Lychee drink we had was so good. Excellent service and (as always) wonderful food also. Although extremely busy staff were attentive and prompt. The atmosphere was also fantastic. Cannot recommend Ahmet's highly enough. We enjoyed a delicious lunch today with my son who is anaphylactic to dairy and egg. Being able to see the dairy free options labeled on the menu made ordering easy! We will definitely be back. The waiter who looked after us had terrible manners and ruined the entire experience for myself & my guests. He rushed us when ordering, had backhanded comments when we asked questions about the menu. He even rolled his eyes at me when I asked if I could see the drinks menu in order to choose a drink. He also pushed the bill in front of my face without us asking for it to which I asked for the menu again to choose deserts. He looked displeased, took the bill away and then returned with the menu and then didn’t EVER come back to the table - obviously we didn’t order deserts and just got up and paid (not before writing a note on the bill about bad service). The restaurant was not overly busy and all other waiting staff seemed relaxed. Wonderful atmosphere, attentive staff and delicious food. Top night out. Staff training required for a better understanding of dietary requirements. Had quite a few issues with the waiter not understanding our requests for clarification. Great value. Tasty food. Perfect service. Made for a great night out. Not or first visit and certainly won't be or last. Maybe too efficient, we just got our dips when the mains all came out, not enough bread with the dips. Everything else spot on with quality. Banquet for 2 was outstanding. Maybe a little too much food. By the last 2-3 meals we were already full and couldn’t enjoy them as much because we were so full. This will help wasting a little food too. Great value for money though. Staff are really friendly and efficient. This is a great place to meet friends and enjoy food to share. Very popular, so the word is out . . . Ahmets is great! I love the atmosphere but this night was particularly chaotic, smoky and noisy. On top of that quite hot so was a little uncomfortable. Maybe the kitchen needs extra exhausts and the music could be turned down slightly. I must say though that the service and food were both superb and were not compromised from the business. Great team you have there! Ordered the feast x 4 people. The food was fantastic, as always. The dessert course was delayed and we had to leave. Sure would onjoyed the baclava.